At least… I thought I was… so, I seek your support to have an unfair rule eliminated from the ARC Guideline. 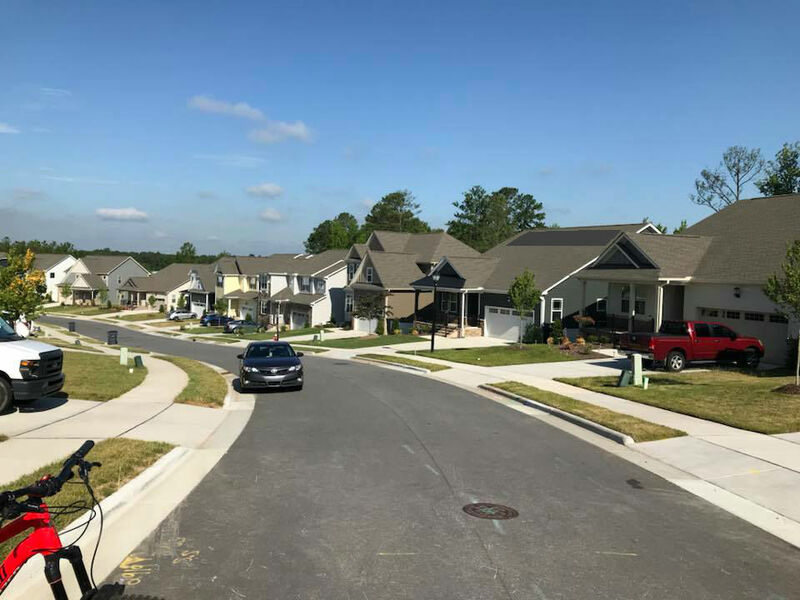 Sometimes HOAs get it right (like no Pepto-Bismol pink homes allowed), but sometimes they don’t, and we as a community must stand up, be heard, and effect change. At least 1/3 or more homes are impacted by this unfair rule. EVERY home owner deserves an equal opportunity to get the best ROI on a solar investment when adding a viable solar asset to their home. 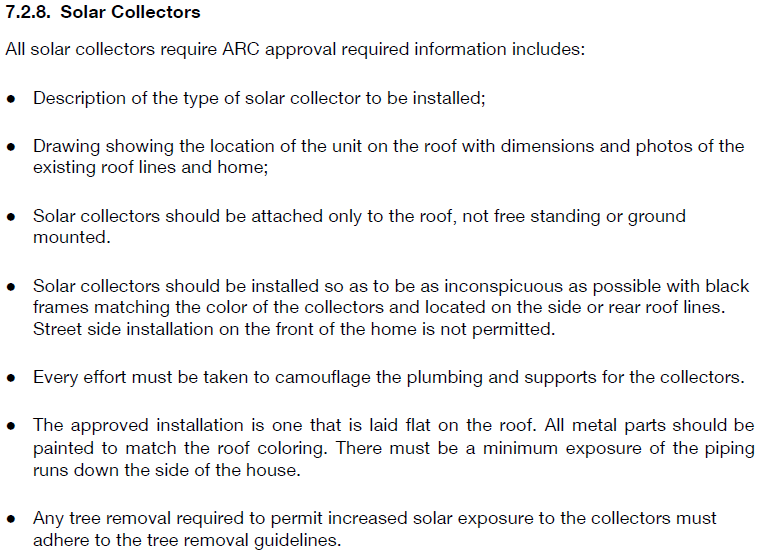 Here are the ARC Guidelines for Solar in 2017 when I made my home purchase decision. Here are the ARC Guidelines for Solar in 2018, changed just as I am finalizing my solar vendor selection. My roof line is very plain. 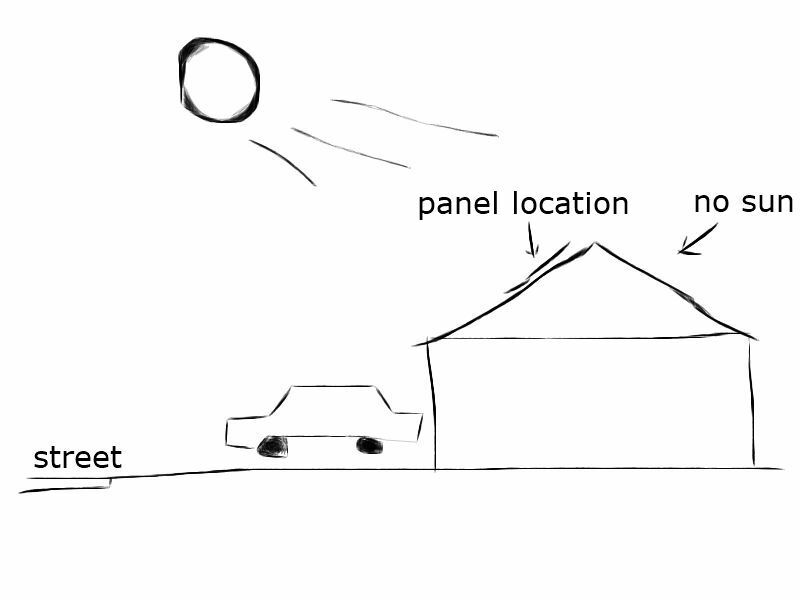 There is only 1 location for solar panels. Looking down Historic from Governess. Everyone deserves the opportunity to improve their home with a viable solar asset. 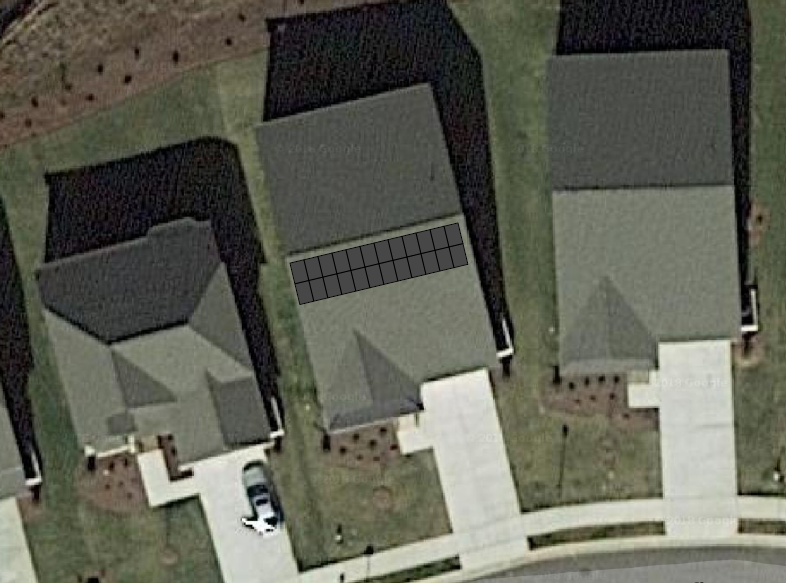 Under the new rule, I am being told I cannot go solar because the front of my home faces south and to the street, but the guy across the street can go solar because rear of his home faces south and away from the street. This is unfair. If we have equal floor plans and both homes go on the market, the home with solar will sell first for more money. A buyer will see the solar asset and know they will effectively have little to no power bill with that home, but they would with my home. This unfair rule is an immediate disadvantage for me and every home facing solar installation rejection. Remember that I and many others have NO alternative location for viable solar panels. As noted above, 1/3 or more of all homes in Kitts Creek are impacted by this new restriction/rule. Many more are partially impacted due to the varying roof lines of our homes. 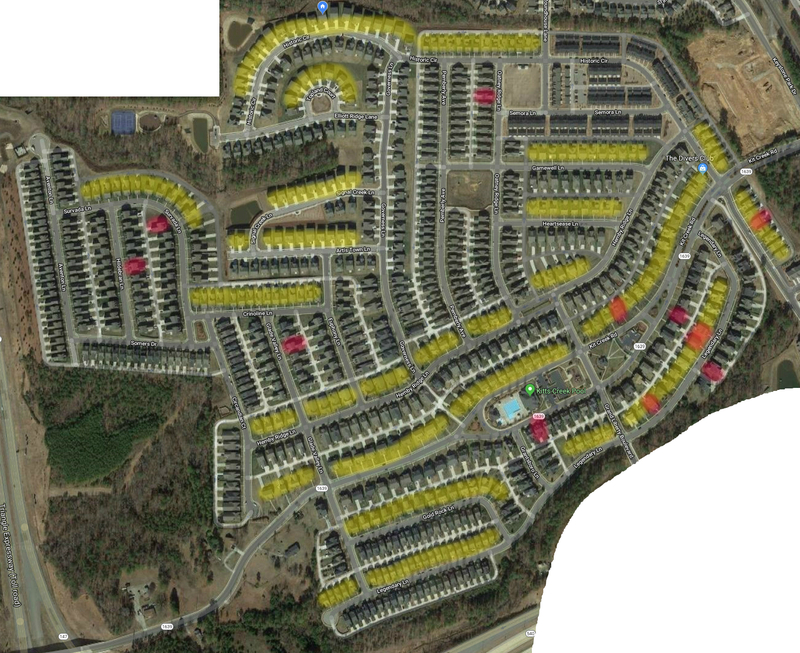 The homes highlighted below are virtually eliminated from the opportunity to go solar. This is unfair. Every home owner deserves an equal opportunity to install viable solar that maximizes their ROI. Yellow homes are directly impacted by this new restriction/rule. Pink homes have existing solar as per the satellite imagery; some of which could have benefited from a more effective solar ROI without this unfair restriction. Support equal solar rights for all! I have been and will be coming door to door in the neighborhood and will be joined by an army of helpers collecting signatures from those of you who support equal solar for all. As of Nov 15, I have 77 signatures in support and not 1 single person against. So far, that is 100% support from every home owner who answered their door. I can’t thank you enough for your support! I know I will eventually come across a few people who may not support the idea, and I will make note of those against. I encourage you to think of the benefit of solar and fairness to all.